Подробное описание лота: Dodgson, Charles Lutwidge (Carroll, Lewis). Alice’s Adventures in Wonderland. London, [The Clarendon Press for] Macmillan and Co, 1865. 8o (223x137 мм.). 42 wood-engraved illustrations by the Dalziel brothers after John Tenniel. TEN ORIGINAL PENCIL DRAWINGS FOR THE ILLUSTRATIONS BY JOHN TENNIEL, EACH SIGNED WITH HIS MONOGRAM (all inset to size, nine with caption mounted below, and each inserted opposite its corresponding wood engraving). See individual descriptions under "drawings" below. THE VERY RARE FIRST ISSUE OF THE SUPPRESSED FIRST EDITION. APPARENTLY LEWIS CARROLL'S WORKING COPY, MARKED UP BY HIM IN CHARACTERISTIC PURPLE INK IN PREPARATION FOR THE NURSERY ALICE (1889), THE ONLY KNOWN UNTRIMMED COPY, AND WITH TEN ORIGINAL PRELIMINARY DRAWINGS (INCLUDING "THE CHESHIRE CAT") BY JOHN TENNIEL BOUND IN (1899). PMM 354. Уход: $1,542,500. Аукцион Christie's. LEWIS CARROLL & ALICE: PRIVATE COLLECTION OF JUSTIN SCHILLER. 09 декабря 1998 года. Нью-Йорк, Парк Авеню. Лот № 38. Binding: Full brown levant morocco, covers with double gilt fillet surrounding an alternating pattern of larger and smaller gilt leafy sprays (the larger built-up from the smaller tools, gilt stems and gilt dots), flat spine with a single gilt-ruled title panel and repeated smaller gilt leafy spray tools, board edges with double gilt fillet, turn-ins with gilt-ruled border containing repeated smaller gilt leafy spray tool, LEAF EDGES ENTIRELY UNCUT, stamp-signed at foot of front turn-in: "Bound by Riviere & Son for L.S. Montague [sic] 1899," full crimson morocco pull-off case. State: The second preliminary quire of the 1865 Alice is found in two variant states (no priority). The forme contained the text set in duplicate and was printed by half-sheet imposition (work-and-turn). The two settings vary slightly on several points: the present copy shows state "Alice a" (comprising the first line, last stanza, of the Prefatory poem to read "Alice! a..." rather than "Alice! A..."), the Table of Contents with the hyphen in "Rabbit-Hole," the page numerals "29" and "59" with an ovoid "9," and the numeral "95" with a rounded "9" and an undamaged sort "5." History: "The origin of Alice's Adventures in Wonderland is almost a fairy-tale in itself: a boat trip up the river at Oxford one summer's day in 1862 with a crew consisting of two young men from the University and three little sisters, daughters of the Dean of Christ Church. Robinson Duckworth rowed stroke and sang to the children. Charles Dodgson ("Lewis Carroll") rowed bow and invented a story to entertain the three girls, Lorina, Alice and Edith Liddell. His story began with a White Rabbit rushing by, taking a pocket-watch out of his waist-coat pocket, and then disappearing down a rabbit-hole. What followed was pure fantasy. Dodgson, a mathematician, cleverly wove into the story each member of the crew, thinly disguised so that the children might recognise them. For example, Lorina became a Lory, and Edith turned into an Eaglet, and obviously Duckworth became a duck, and Dodgson was the Dodo. Alice was herself for most of the time, but in her confusion she thought she might have changed into Gertrude or Florence. She had exciting adventures meeting other wonderful characters such as the Caterpillar, the King and Queen of Hearts, the Gryphon and the Mock Turtle (the Cheshire Cat, March Hare and Mad Hatter came later in the extended version of the story--this published edition). All the children were enchanted by the tale, but it was Alice who asked Mr. Dodgson to write the stories down for her, a task which took Dodgson several months. He also added his own illustrations, and the leather-bound notebook containing Alice's Adventures Under Ground was given to Alice as an early Christmas gift in 1864. In the meantime, other children and families were privileged to hear the story, and encouraged Dodgson to get the book published. He was advised to use a professional artist. He added further episodes to the tale, changed its title, and at great personal expense, arranged for the book to be published by the Clarendon Press (the publishing arm of Oxford University). Then disaster struck" (Wakeling). Two thousand copies were to be printed at the Clarendon Press, the aim being to publish the book in time so that a copy could be presented to Alice Liddell on 4 July 1865, exactly three years after the first telling of the Alice story on the boating trip. Dodgson asked Macmillan to bind 50 advance copies for him to give to friends. One of these was sent to his illustrator John Tenniel (1820-1914), who then wrote to Dodgson that he was "entirely dissatisfied with the printing of the pictures." Tenniel, a famous illustrator for Punch, felt that his reputation was at stake and Dodgson, an unknown author, complied with his wishes to withdraw the entire edition. On 2 August, Dodgson began recalling copies that he had already given away, promising replacements as soon as a new edition was available. The remainder of the first edition was sold to the New York publisher Appleton, who issued the original sheets with new title-pages dated 1866 (the second [or first American] issue, see lot 1). In the meantime, in England, Alice was reprinted by Richard Clay for Macmillan and an improved second (first authorized) edition appeared in December 1865, but was dated 1866 in the imprint (see lot 2). Dodgson donated 34 of the first-issue copies to hospitals and children's homes, including a number that had been returned by friends at his request. Others were retained by the original recipients. ONLY 22 COPIES OF THIS ORIGINAL ISSUE ARE KNOWN TO SURVIVE TODAY and an 1865 Alice is now of legendary rarity on the market. Of these 22 located copies, JUST FIVE ARE IN PRIVATE HANDS, and the remarkable copy offered here is surely the most desirable. As is evident from the census below, it is unquestionably one of the most important of the extant copies. The Montagu copy is of unique importance in several respects: before 1889 its sheets were marked up in manuscript by the author in preparation of The Nursery Alice (1889), and in 1899 ten of Tenniel's drawings were bound up with them. William H. Bond was the first to understand the true nature of this copy and suggested a connection between it and The Nursery Alice (see "The publication of Alice's Adventures in Wonderland"). In a footnote of acknowledgements, he comments: "Another private collector [Kettaneh] generously made available for comparison the only known untrimmed copy of the first edition, which contains ten pencil studies by Tenniel, and markings by Dodgson possibly in preparation for The Nursery Alice." The 1990 monograph by Schiller on the book described it as the Macmillan file copy, marked up by a corrector (not Dodgson) to evaluate the quality of printing, which then resulted in its suppression for the English market. However, detailed comparison unmistakably shows that Dodgson/Carroll marked up these sheets in the first stage of creating his Nursery Alice. In this copy of the 1865 Alice, 24 (of the 42) illustrations are marked with an adjacent vertical line in the margin in purple ink (distinct from text selection marks). The Nursery Alice, intended for children "from nought to five" (preface), is illustrated with 20 illustrations, which are enlarged and colored versions after Tenniel. All 20 of these illustrations in The Nursery Alice correspond exactly to those marked in this copy. Perhaps most significantly, no unmarked illustrations were published in the Nursery edition beyond this initial selection. Only the "You are old, Father William" series of four illustrations was not reprinted in The Nursery Alice, eventhough these illustrations are here marked in purple ink. Although Carroll was not known to use purple ink at the time when Alice was published, it had become his common practice by the time he was preparing the selection of text and images for his simpler abbreviated Nursery Alice (1889). Furthermore, the text areas marked with marginal strokes clearly delineate text sections to be reworked for the later Nursery Book. Also intriguing is the fact that one editorial mark, whose textual significance is unclear, is a well-known mathematical symbol (which means "not equivalent"). In addition to the marginal lines and "O" marks (apparently for omit), the following markings occur: p. 7, one word "to" deleted, with delete symbol in margin; p. 34, parenthetical section regarding Shakespeare deleted; p. 84, mathematical? symbol in margin; pp. 98-99, line ending deleted, capital "H" starting new sentence written over lower-case "h" with Carroll's characteristic serif capital; p. 113, the word "seven" deleted, and "five" inserted in margin; p. 145, seven words deleted. The 105 pages that bear purple markings occur without any observable pattern relating to the production, whether quality of inking, layout of text, or set-up of type. The marks were apparently made after the sheets were folded, opened, but in unbound quires. It is known that Carroll received unbound sheets for other works in advance of publication, and these could have been retained by him for this later revision. It is also possible that Macmillan provided them to him later, as leftover sheets, for revision purposes. "The first idea of a Nursery Edition came to Dodgson in 1881, perhaps as a result of seeing the 1874 Dutch abridgement of Alice. On 15 Feb. he noted in his Diary that 'I wrote to Macmillan to suggest a new idea, - a Nursery Edition of Alice with pictures printed in colour'" (Williams-Madan-Green-Crutch, p. 161). On 13 April 1881 Macmillan wrote to Dodgson, regarding his proposal: "Please give me a list of the pieces you propose to include, and of the pictures you wish to reproduce. You should consult Mr. Tenniel on this and also on the colourist" (Lewis Carroll and the House of Macmillan, p. 163). Unfortunately, Dodgson's letters to Macmillan between 25 January and 17 August 1881 are missing, as these might have shed more light on the form Dodgson's proposals took. In another letter to Macmillan regarding this Nursery Edition (17 August 1881), Dodgson wrote: "...please send Mr. Tenniel an Alice in sheets, that he may mark his alterations and cut the pictures out one by one. It seems a pity to spoil a bound copy for this purpose." It now appears that Dodgson himself made a similar use of sheets for selecting text and illustrations. In a later letter to Macmillan (8 July 1885) Dodgson mentions: "Mr. Tenniel has finished colouring the 20 enlarged pictures for the Nursery Alice, and I hope you will soon hear from Mr. Evans about it. I will shortly send you some selected portions of text, to set up for it..." In 1886 the Nursery Alice was announced as being in preparation. The most compelling argument for relating this copy to the Nursery Edition is the deliberate selection of text and illustration and their relationship to each other. The text is marked with careful attention to the characters and illustrations, which eventually make their way into the Nursery Alice. Lengthy, difficult passages are omitted, the number of characters is limited and, most importantly, the text passages relate (sometimes pages later) clearly to the illustrations chosen, which was the stated intention of the Nursery Edition. At least since 1928 these markings have been attributed to Lewis Carroll and they were described as such in exhibition and auction catalogues up until 1990. The revisiting of Bond's original suggestion yields confirmation that the markings are autograph and re-establishes this as Dodgson's working copy. Dodgson, Charles Lutwidge (Carroll, Lewis). Alice’s Adventures in Wonderland. London, Macmillan and Co, 1865. 1-st Ed. 2 vols. 8º. Illus. by John Tenniel. Твердый переплет Bayntun-a с тисненными белым кроликом и красной королевой на верхней крышке. With copies of Warren Weuver's (Уоррен Уивер [1894-1978] - видный американский ученый, математик) report certifying all signatures are of the 1865 Edition and with photos of the disbound vol. & related correspondence. Уход: £45 000. Аукцион Сотбис. 5 декабря 1986 года. Лондон. Лот № 304. Dodgson, Charles Lutwidge (Carroll, Lewis). Alice’s Adventures in Wonderland. London, Macmillan and Co, 1865. 1-st Ed. 8º. Illus. by John Tenniel. В мягких обложках, сильно потертых и надорванных. Фронтиспис слегка реставрирован. Уход: FF220 000. Аукцион Ader. Carroll Exhibition catalogue № 2. 20 мая 1980 года. Париж. Лот № 125. 1865: First UK edition (the first printing-issue - июль). 1865/66: First UK edition (the second printing-issue - декабрь). 1865: First US edition (the first printing of above - непереплетенные экземпляры от Макмиллана). 1866: DODGSON, Charles Lutwidge (1832-1898, "Lewis Carroll"). Alice's Adventures in Wonderland. New York: [Clarendon Press, Oxford for] D. Appleton, 1866. Родной издательский коленкоровый "апплетоновский" переплет. 1872: Le Avventure di Alice nel Paese delle Meraviglie is published in Italian translation by Teodorico Pietrocla Rossetti. Первое издание (первый выход-first issue) сказки состоялась 4 июля 1865 года — день в день ровно через три года после того, как Кэрролл впервые рассказал историю Алисе и ее сестрам. Она была напечатана в типографии Oxford University Press издательством Macmillan and Co. Книга называлась «Приключения Алисы в Стране чудес от Льюиса Кэрролла» (Alice’s Adventures in Wonderland by „Lewis Carroll“). В типографии успели переплести 48 книг, 20 из которых Кэрролл подписал и подарил друзьям, однако иллюстратор Джон Тенниел настаивал на том, что качество печати слишком низкое. Кэрролл согласился с ним, извиняясь, отозвал подарки и отказался от заказа. Практически весь двухтысячный тираж был уничтожен, и, судя по всему, книги так и не поступили в продажу, хотя есть и недоказанная теория о том, что остаток тиража был продан в Америке. Сейчас сохранилось 23 экземпляра первого издания книги, 18 из них хранятся в архивах и фондах библиотек, остальные — в частных коллекциях. Второе издание выпустила компания Richard Clay and Sons в Оксфорде в декабре 1865 года, но на титульной странице был проставлен уже 1866 год. Тысячный тираж исчез с полок книжных магазинов в мгновение ока. Третье издание книги, состоящее из 952 экземпляров, было отпечатано в 1866 году в США. Льюис Кэрролл не интересовался качеством печати своих книг в Америке и полностью положился в этом вопросе на издателей. В 1886 году книга пережила четвертое издание, в которое Льюис Кэрролл внес небольшие изменения: он увеличил стихотворение «Голос омара» с 6 до 16 строк и написал короткое предисловие. За год до смерти Льюиса Кэрролла в 1897 году были еще раз изданы обе его сказки. Издание было исправлено и дополнено обширным предисловием. Именно эта версия считается каноническим английским текстом. История рукописной и напечатанной книги достойны рассказа. Алиса Лидделл — прототип персонажа Алисы. Как известно, сказку Льюис Кэрролл придумал по просьбе своих юных друзей сестер Эдит, Алисы и Лорины Лидделл во время лодочной прогулки 4 июля 1862 года. По желанию любимицы Кэрролла Алисы Лидделл рассказанная сказка была им аккуратно переписана, проиллюстрирована 37 рисунками, переплетена в зеленый кожаный переплет и преподнесена ей в подарок на Рождество. Через некоторое время, уступая многочисленным просьбам прочитавших рукописную книгу детей и взрослых, Кэрролл решает ее издать и обращается для этого к молодым издателям братьям Макмиллан. Текст сказки, увеличенный по сравнению с первоначальным почти втрое, в 1865 году выходит в свет отдельной книгой. В короткое время книга завоевывает широкую популярность и на протяжении четверти века автор ежегодно допечатывает издание, доведя общий тираж до по тем временам весьма значительного-120 тысяч экземпляров. Сейчас общее число изданий в мире приближается к тысяче. 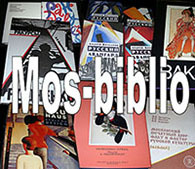 История выхода книги в свет была драматичной. Первоначально сказку в количестве 2000 экземпляров отпечатала типография Оксфордского университета. Из переплетенных вначале 48 книжных блоков 20 Кэрролл подписывает и отправляет в подарок друзьям. А через несколько дней, согласившись с мнением иллюстратора книги Джона Тенниела о низком качестве печати, щепетильный Кэрролл отзывает свои подарки, переносит заказ на выпуск книги в типографию Ричарда Клея, а непереплетенные экземпляры первого набора продает в США фирме издателя Эплтона как макулатуру. Таким образом, на роль первого сейчас претендуют, по существу, три разных издания: единичные экземпляры (по некоторым данным-6) из 48 переплетенных, но отвергнутых автором; непереплетенные блоки, проданные в США и выпущенные там предприимчивым Эплтоном с новым титульным листом и в новой обложке; и книги, отпечатанные в типографии Ричарда Клея. Каждое из этих трех изданий является библиофильским раритетом, но особую ценность на книжных распродажах и аукционах всегда составляли первые экземпляры, отвергнутые Л. Кэрроллом. Необычная судьба и у рукописной "Алисы". В 1886 году Л. Кэрролл издает свою рукописную книгу факсимильно. В высоком качестве ее издания можно убедится в отделе редких книг Библиотеки иностранной литературы, где хранится экземпляр этого издания. Сама же рукописная "Алиса" в 1928 году по желанию 76-летней хозяйки поступает на аукцион Сотби, где вместе с письмами и некоторыми прижизненными изданиями Л. Кэрролла за 72 500 долларов продается в Америку известному книгопродавцу А.С. Розенбаху. Британский музей оказался не в состоянии выкупить рукопись, составляющую национальную гордость страны. В 1946 году рукописная "Алиса" снова попадает на аукцион - теперь ее оценивают в 100 000 долларов. И снова Британский музей не в состоянии оплатить стоимость книги. По инициативе сотрудника Библиотеки Конгресса США Л. Г. Эванса объявляется сбор пожертвований в фонд выкупа книги и через два года, когда необходимая сумма была собрана, рукописную книгу выкупают и торжественно преподносят в дар Великобритании. В дарственном послании была выражена особая благодарность народу, сдержавшему Гитлера и остававшемуся в этой борьбе долгое время в одиночестве. Сейчас рукописная книга хранится в Британском музее. Почитателей и собирателей, коллекционирующих книги Льюиса Кэрролла, в Великобритании, США, Австралии и во многих других странах немало. В ряде стран созданы общества, объединяющие любителей Л. Кэрролла. Они издают книги, выпускают периодическую литературу, устраивают регулярные встречи и конференции. Есть собиратели "Алис" и в нашей стране. Один из них, житель старинного сибирского города Томска, профессиональный книговед Василий Васильевич Лобанов собрал замечательную коллекцию русских и зарубежных изданий "Алисы" и богатый материал о ней, который хотелось бы увидеть изданным. Советские читатели в послевоенные годы знакомились со сказкой Л. Кэрролла по переводу А. П. Оленича-Гнененко, выходившему с 40-го по 61-й годы пять раз. В одном из этих изданий (1958 г.) были помещены первые советские иллюстрации к "Алисе" художника В. С. Алфеевского. В 1967 году в Болгарии на русском языке вышел новый перевод обеих сказок, сделанный H. M. Демуровой. Перевод этот, снабженный обширными примечаниями и комментариями, непубликовавшейся ранее главой, статьями советских и зарубежных ученых и писателей, был в 1978 году издан в серии "Литературные памятники" издательством "Наука". Перевод H.M. Демуровой многократно издавался в разных городах страны с иллюстрациями различных художников. Особо следует отметить малоформатное комментированное двухтомное издание издательства "Книга" (1982, 1986 гг.) с иллюстрациями художника Ю. А. Ващенко, отмеченными Международным жюри на бьеннале детской книги в Братиславе. В последние десятилетия "Алиса" выходила с маркой центральных и многих периферийных издательств страны в переводах Б.В. Заходера, А. А. Щербакова и В. Э. Орла с иллюстрациями Г. В. Калиновского, М.П. Митурича, Э.С. Гороховского, С.К. Голощапова, Л.М. Шульгиной, Н.В. Тихоновой и других художников. Библиографической редкостью являются сегодня переводы "Алисы", выполненные и изданные в России до революции. Первый русский перевод, сделанный анонимным переводчиком, был отпечатан в типографии А. И. Мамонтова в Москве в 1879 году и назывался "Соня в царстве дива". Экземпляр издания есть в Государственной публичной библиотеке им. M. E. Салтыкова-Щедрина в Ленинграде. В Государственной библиотеке СССР им. В. И. Ленина в Москве первого русского издания "Алисы" нет. До революции выходило еще несколько переводов "Алисы" - М.Д. Гранстрем (1908 г. ), Allegro (псевдоним П.С. Соловьевой) (1910 г.) и А.Н. Рождественской (1912 г.). Два последних до выхода отдельными изданиями публиковались в детских журналах "Тропинка" и "Задушевное слово". Последний из дореволюционных, неизвестный специалистам и никем ранее не упоминавшийся в литературе о Л. Кэрролле, оригинальный перевод сказки под названием "Алиса в волшебной стране" был опубликован в сборнике "Английские сказки" - приложении к журналу "Золотое детство", без указания года выпуска, автора перевода, автора иллюстраций и каких-либо выходных данных. Можно высказать предположение, что автором перевода является Михаил Павлович Чехов, младший брат А.П. Чехова. Известно, что с 1907 по 1917 год он издавал журнал "Золотое детство", являясь его редактором и основным автором. Известно также, что он является автором многочисленных переводов английских и французских писателей. В начале 20-х гг. им был выпущен даже 10-томник, составленный из его переводов. Можно поэтому предположить, что и этот перевод сделан тоже им. Вторая загадка касалась иллюстраций. Ее удалось раскрыть, сравнив иллюстрации в книге с воспроизведениями работ различных художников в английском альбоме "Иллюстраторы "Алисы в стране чудес и в Зазеркалье" под редакцией Г. Овендена (1972 г.). Им оказался английский художник Гарри Фернисс (1854-1925), известный также своими иллюстрациями к роману Л. Кэрролла "Сильвия и Бруно". Третьей загадкой был год издания книги. Просмотрев, все выпуски журнала за время с 1907 по 1917 гг., в рекламных объявлениях на обложках журналов 1913 г. были найдены сообщения о предполагаемом выпуске сборника "Английские сказки" с включением в него "знаменитой повести "Алиса в волшебной стране" в приложении к журналам на 1913-1914 гг. Более того, в журналах начала 1914 года появились рекламы о возможности приобрести вышедшее приложение. Поэтому можно с уверенностью считать годом издания последнего дореволюционного перевода 1913 год. После революции в 1923 году издательство А.Д. Френкель выпустило "Алису в стране чудес" в новом переводе Д'Актиль (псевдоним А.А. Френкель), а в 1924 году - впервые на русском языке "Алису в Зазеркалье" в переводе В.А. Азова (псевдоним поэта В.А. Ашкенази), со стихами в переводах Т.Л. Щепкиной-Куперник и обложкой, оформленной художником Д.И. Митрохиным. В 1923 году в Берлине русский перевод "Алисы" сделал Владимир Владимирович Набоков (псевдоним В. Сирин). Перевод назывался "Аня в стране чудес" и вышел в издательстве "Гамаюн". Берлинское издание репринтно было повторено в США издательством "Довер" (1976 г.) и "Ардис" (1982 г.). В СССР перевод В. В. Набокова впервые был издан в 1989 году "Детской литературой" с иллюстрациями художника А. Б. Геннадиева. В послевоенные годы "Алиса" была переведена на национальные языки в девяти республиках страны и опубликована на азербайджанском, армянском, грузинском, латышском, литовском, молдавском, таджикском, украинском и эстонском языках. Театры Киева, Ленинграда и Хабаровска в 80-е годы осуществили постановку "Алисы" на сцене. "Спектакль-мистику" "Алиса в Зазеркалье" ставит Свердловский театр юного зрителя. По данным автора, в нашей стране "Алиса в стране чудес" и "В Зазеркалье" издавалась 69 раз общим тиражом около 6 млн. экземпляров на 11 языках, включая английский. "Алису" публиковали журналы "Костер", "Пионер" и "Квант". Представляется уместным завершить настоящую заметку, посвященную юбилею "Алисы", библиографией первых публикаций всех русских переводов "Алисы в стране чудес" и "Алисы в Зазеркалье". Соня в царстве дива. / Иллюстрации Дж. Тенниела.- Москва Типография А. И. Мамонтова, 1879.-166 с., с ил. ; 15 см. Приключения Ани в мире чудес. / Перевод М. Д. Гранстрем; Иллюстрации Ч. Робинсона. - С.-Петербург: Издательство Э. А. Гранстрем, 1908.-164 с., с ил. ; 22,3 см. -3000 экз. Приключения Алисы в волшебной стране. / Перевод А. Н. Рождественской; Иллюстрации Ч. Робинсона. // Журнал "Задушевное слово", 1908-1909, том 49, ЭЭ 1-7, 9-21, 22-33. Приключения Алисы в стране чудес. / Перевод Allegro (П. С. Соловьевой); Иллюстрации Дж. Тенниела. // Журнал "Тропинка", 1909, ЭЭ 2-5, 7-17, 19, 20. Алиса в волшебной стране. / Перевод [М. П. Чехова]; Иллюстрации Г. Фернисса. // Сб. Английские сказки. - С.-Петербург: Издание журнала "Золотое детство" .-С. 1-63, с ил. ; 19,7 см. Алиса в стране чудес. / Перевод А. Д'Актиль (А. А. Френкель) ; Иллюстрации Дж. Тенниела.- Москва - Петроград: Издательство Л. Д. Френкель, 1923.-132 с., с ил. ; 28 см.-3000 экз. Аня в стране чудес. / Перевод В. Сирина (В. В. Набокова); Иллюстрации С. Залшупина. - Берлин: Издательство "Гамаюн", 1923. - 115 с. с ил. ; 21,5 см. Алиса в Зазеркалье. / Перевод В.А. Азова (В.А. Ашкенази); Стихи в переводе Т. Л. Щепкиной-Куперник; Иллюстрации Дж. Тенниела; Обложка Д. И. Митрохина. - Москва - Петроград: Издательство Л. Д. Френкель, 1924.-124 с., с ил. ; 30,6 см.-3000 экз. Алиса в стране чудес. / Перевод А. П. Оленича-Гнененко; Иллюстрации Дж. Тенниела; Обложка Бирюкова. - Ростов н/Д: Ростиздат, 1940. - 108 с., с ил. ; 20 см.-20 000 экз. Алиса в стране чудес. Сквозь зеркало и что там увидела Алиса. / Перевод H. M. Демуровой; Стихи в переводах С. Я. Маршака и Д. Г. Орловской; Иллюстрации П. Чуклева. - София: Издательство литературы на иностранных языках, 1967.-226 с., с ил. ; 26,5 см. Зазеркалье. (Про то, что увидела там Алиса). / Перевод А.А. Щербакова; Иллюстрации Г. Ковенчука. // Журнал "Костер", 1969, ЭЭ 3-7. Алиса в стране чудес. / Перевод Б.В. Заходера; Иллюстрации С. Чижикова. // Журнал "Пионер", 1971, Э 12, 1972, ЭЭ 2, 3. Приключения Алисы в стране чудес. Зазеркалье (про то, что там увидела Алиса). / Перевод А. А. Щербакова; Предисловие Ю.О. Кагарлицкого; Иллюстрации М.П. Митурича; Оформление Е. Ганнушкина. - Москва: Художественная литература, 1977. - 304 с., с ил. ; 20,3 см.-30 000 экз. В Зазеркалье. / Перевод и предисловие В.Э. Орла; Иллюстрации Г.В. Калиновского. - Москва: Детская литература, 1980. - 144 с., с ил. ; 32,7 см.-100 000 экз. Приключения Алисы в стране чудес. / Перевод В.Э. Орла; Иллюстрации Г.В. Калиновского. - Москва: Детская литература, 1988.-144 с., с ил. ; 28,2 см. - 100 000 экз. Первое издание «Алисы в Стране чудес» было напечатано издательством Макмиллана в типографии «Оксфорд Юниверсити Пресс» (Oxford University Press) в 1865 г. Иллюстратор Дж. Тенниел был недоволен качеством иллюстраций в этом издании, в результате чего Кэрролл отказался от заказа (судя по всему, тираж еще не поступал в продажу). Примерно 48 экземпляров этого издания были переплетены и разосланы Кэрроллом в подарок друзьям. Однако, отказавшись от заказа, Кэрролл попросил вернуть эти экземпляры и отослал их в детские больницы. Из этого первого издания сохранилось 20 экземпляров (два из них сейчас потеряны), а также экземпляр верстки, переплетенный наборщиком. Кэрролл передал заказ фирме «Ричард Клей энд Санз» (Richard Clay and Sons), не сделав сколько-нибудь значительных изменений в тексте; в декабре 1865 г. книга вышла в свет (датирована 1866 г.) (Lewis Carroll. Alice's Adventures in Wonderland. L., Macmillan, December 1865 (1866). В это издание Кэрролл внес несколько мелких изменений, большая часть которых вошла в переиздание 1867 г. Что бы автор шедевра почувствовал – раздражение, смущение или просто сострадание – если бы он мог узнать, что первые издания «Приключений Алисы в Стране Чудес» стали теперь самой желанной добычей коллекционеров? На первом месте, конечно, первое и второе издания. Мы говорим о них сразу, потому что собственно первое издание выделить очень трудно. «Алиса» – единственная в своем роде книга, потому что путаница с первым ее изданием не объясняется разными выпусками. Конечно, было одно, самое первое издание, но от него осталось так мало экземпляров, что по молчаливому соглашению книголюбов оно признано несуществующим. В этом негласном заговоре коллекционеров и книготорговцев не участвуют только с полдюжины счастливых обладателей этого сокровища, да и эти-то экземпляры большей частью принадлежат не частным лицам. Но все, в общем, предпочитают игнорировать существование подлинного первого издания «Алисы». Что ж, книголюбы обманывают лишь самих себя. Виноват в том, что столько нормальных во всех отношениях людей стали жертвами самогипноза, Льюис Кэрролл. Когда в 1865 году из печати вышли самые первые две тысячи экземпляров, автор остался недоволен типографской работой и сумел уговорить издателей изъять все издание. Неизвестно, сколько книг было уже продано к тому времени. Скорее всего, немного. Во всяком случае, торговцы с готовностью вернули полученный товар в издательство. Книги были возвращены и разосланы в детские больницы и рабочие клубы, где их очень скоро зачитали до дыр. Если бы Британский музей содержал в то время детскую больницу, он мог бы теперь похвастаться «Алисой» 1865 года. Тот, кому было поручено собрать у торговцев книги, проявил такое прилежание, что, должно быть, получил от издателей награду, но коллекционеры, знай они имя этого человека, предали бы его анафеме. Это благодаря его усердию экземпляров самого первого издания осталось не больше шести и надежды на новые находки нет. Хотя с «настоящими первоизданиями» «Алисы» дело обстоит крайне плохо, все же у библиофилов есть возможность достать нечто почти равное по ценности и к тому же гораздо более дешевое. К счастью, миссис Харгривс не разрешила. Рукопись до сих пор в оригинальном кожаном переплете, несколько истрепанном и потертом, потому, что это была любимая книжка Алисы, и она часто ее читала. «Приключения Алисы в Стране Чудес» примерно в два с половиной раза длиннее «Приключений Алисы в Подземелье» и вместо четырех глав содержат двенадцать. Начало книги почти одинаково в обоих вариантах. Самые заметные из ранних изменений касаются Белого Кролика, который появляется «великолепно одетый, с парой белых лайковых перчаток в одной руке и бутоньеркой в другой». В измененном варианте у Кролика – перчатки и большой веер. Добавлением был, например, знаменитый «бег на месте» в третьей главе «Алисы в Стране Чудес». Мышь стала рассказывать совсем другую, длинную и печальную, историю, хотя, как и в рукописи, эта знакомая всем читателям история набрана постепенно уменьшающимся шрифтом и расположена так, что напоминает длинный извивающийся мышиный хвост: по-английски слова «история» и «хвост» звучат одинаково. Некоторые изменения сделаны и в стихотворении о папаше Вильяме, который «спокойно стоит вверх ногами», – пародия на стихи известного поэта Роберта Саути. Баночка с мазью, сохранившей этому замечательному старому джентльмену бодрость и ловкость, стоила «в Подземелье» пять шиллингов, а в «Стране Чудес» только шиллинг. Всего в первых пяти главах «Алисы в Стране Чудес» добавлено только несколько сотен слов по сравнению с соответствующими им тремя главами «Алисы в Подземелье». Этот кусочек почти идентичного текста составляет уже семь десятых «Алисы в Подземелье», но едва ли пятую часть «Алисы в Стране Чудес», так как дальше добавлений сделано очень много. Среди них та часть, в которой Алиса встречается с Герцогиней, Чеширским Котом, Мартовским Зайцем, Безумным Шляпником. Теперь трудно представить себе «Алису в Стране Чудес» без этого самого знаменитого в литературе чаепития, и мы можем только радоваться, что Льюис Кэрролл не побежал к издателю с первым же вариантом своего сочинения. В «Алисе в Стране Чудес» также гораздо длиннее диалог между Черепахой и Грифоном, песня о супе состоит из двух строф вместо одной. Сцена суда занимает уже не три страницы, а почти тридцать благодаря новому появлению Мартовского Зайца, Сони и Безумного Шляпника и защитительной речи самой Алисы. Притом Бармаглота, Моржа и Плотника, Труляля и Траляля и многих других изобретений Льюиса Кэрролла нет еще ни в Стране Чудес, ни под землей. Они появляются только во второй части книги, «В Зазеркалье». Теперь обе части обычно издаются, как тому и следует быть, в одном томике. Льюис Кэрролл сам первый признал бы, что он неважный художник, и всякий, кто хоть немного разбирается в графике, согласился бы с ним. Зато он отчетливо представлял себе то, какие картинки ему нужны. Поэтому Джон Тэннил поступил очень разумно, во всем следуя замыслу автора. Рукопись Льюиса Кэрролла изобиловала иллюстрациями – всего их было тридцать семь. Тэннил нарисовал сорок две, двадцать из которых в композиции и деталях точно повторяют рисунки автора. При жизни автора «Алиса в Стране чудес» неоднократно переиздавалась, однако никаких сколько-нибудь существенных изменений в тексте не было произведено. К изданию 1886 г. Кэрролл написал короткое предисловие и увеличил одно стихотворение с шести до шестнадцати строк. Издание 1897 г., вышедшее за год до смерти Кэрролла, было им собственноручно исправлено и снабжено предисловием. «Сквозь Зеркало и Что там увидела Алиса» вышло в свет в декабре 1871 г. (датировано 1872 г.) (Lewis Carroll. Through the Looking-Glass and What Alice Found There. L., Macmillan, December 1871 (1872)). В последующих переизданиях Кэрролл лишь исправил несколько опечаток в тексте, а также написал послесловия к изданиям 1871 и 1876 гг. К изданию 1897 г. Кэрролл написал короткое предисловие. Издание 1897 г., в которое вошли обе сказки Кэрролла, считается каноническим текстом, оно воспроизводилось в академическом издании «Оксфордской серии английского романа» (Lewis Carroll. Alice's Adventures in Wonderland and Through the Looking Glass and What Alice Found There. Edited with an Introduction by Roger Lancelin Green. Oxford University Press, 1971. Oxford English Novels Series).